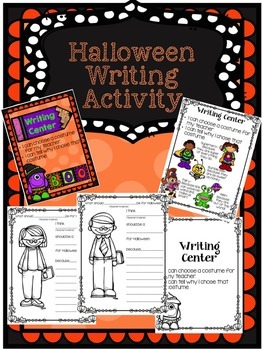 Use this template in your writing center. I made a template with a picture of each teacher in our building. I placed copies in my writing center. We made it into a book and the students presented it to their teachers. Students choose a costume for their teacher and tell why they chose that costume.